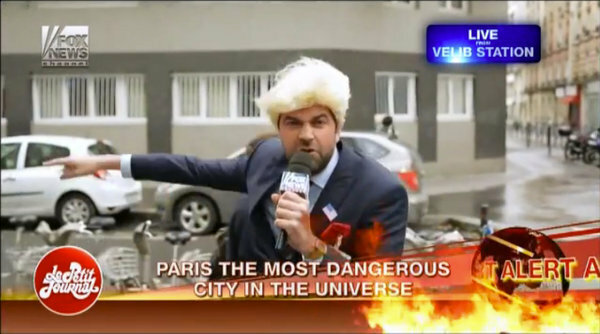 PARIS — Mockery is a national weapon in France, so when an American cable news channel raised false alarms about rampant lawlessness in some Paris neighborhoods — proclaiming them “no-go zones” for non-Muslims, avoided even by the police — a popular French television show rebutted the claims the way it best knew how: with satire, spoofs and a campaign of exaggeration and sarcasm. 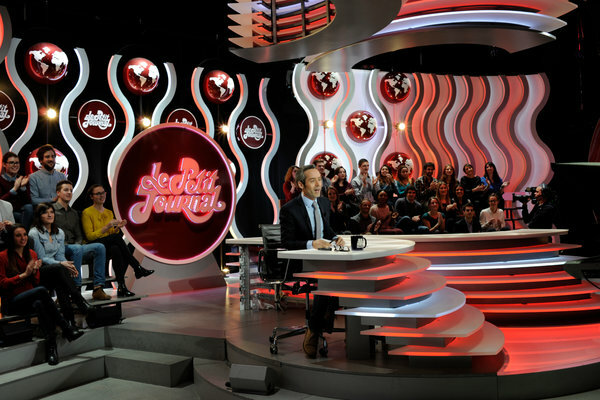 The show, “Le Petit Journal,” is a French version of “The Daily Show With Jon Stewart” — irreverent and reliant on mock correspondents who showcase the foibles of the high and mighty. Usually “Le Petit Journal” reserves its venom for French politicians and the local news media. 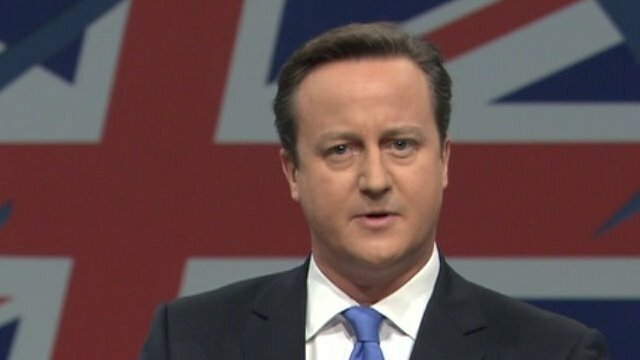 But in the days after the terrorist attacks in Paris that left 17 dead, including 12 people at the offices of the satirical newspaper Charlie Hebdo, it set its sights on a trans-Atlantic target, America’s Fox News, after the channel claimed that swaths of England and France were ruled according to Shariah. “It’s more effective than being upset,” Mr. Barthès said. It is hard to say whether the apologies were the result of “Le Petit Journal’s” mockery; a campaign instigated by the program to inundate Fox News with emails; or Fox News’s realization that its reporting, which reinforced a popular conservative warning about a purported spread of Shariah in the Western world, was wrong. Before the apologies, Mr. Barthès and his “correspondents” hounded Fox News, which is not widely available on French television. Mr. Barthès’s show, which has about 3 million viewers and follows in the satirical tradition of Charlie Hebdo, but in a much gentler style, showed generous portions of the Fox clips where the no-go zones were discussed, providing French translations. Their comics confronted Fox News correspondents when they spotted them reporting live in Paris. In one video, two of the show’s correspondents pretended to be American journalists venturing into supposedly forbidden areas and, in slapstick fashion, cowering by a Turkish kebab shop and a couscous restaurant and falling to the ground at the sound of a jackhammer. Representatives of “Le Petit Journal” also showed up at the New York offices of Fox News on Thursday to seek comment, Mr. Barthès said, until security turned them away. Mr. Barthès said that his show was unable to obtain any response from Fox News, so he turned to his viewers for help, giving the email addresses of Fox executives. When the show posted the information on Twitter, he said, they had 7,000 retweets in five minutes. The theme was picked up by others on social media who expressed mock horror at the “danger” in Paris. A food guide site mapped the best places to dine in the so-called lawless zones, including a bakery where the owner had won awards for baguettes. Muslim leaders say that Muslims are often the victims of attacks, especially since the Paris killings, which were carried out by Islamic militants. The head of a French organization known as the National Observatory Against Islamophobia called for protection by the state, saying there had been “116 anti-Muslim acts, including 28 incidents at mosques and 88 threats,” in the two days after the Jan. 7 shooting. Apologies were issued on-air three other times. Carly Shanahan, a spokeswoman for Fox News in New York, said the communications office never received a query by telephone or email from “Le Petit Journal.” Mr. Barthès said the show had made repeated attempts, including his own emails.